My ballet memory just for the record. 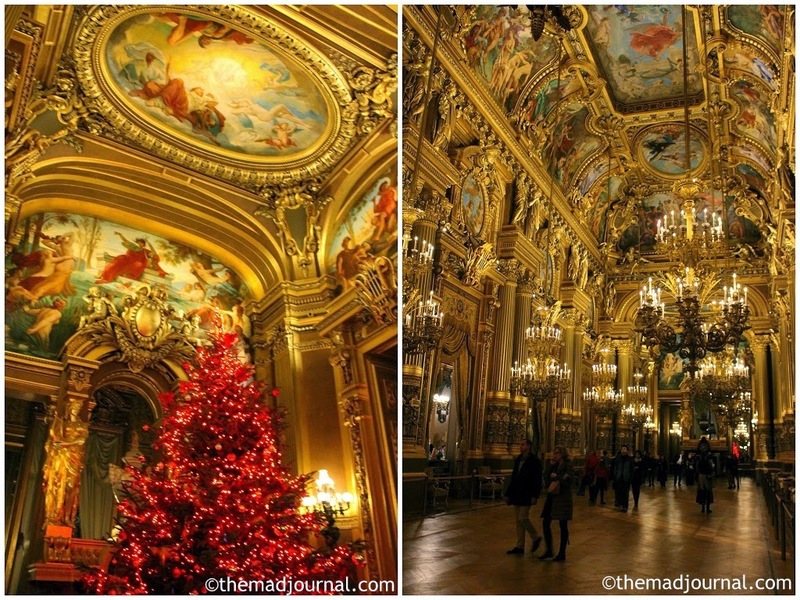 I watched ballet in Opera Garnier when I went to Paris in December. and also wanted to come back to Paris in Spring to see my favourite Etoile dancer Aurelie Dupont who is retiring this spring. However, my friend suggested that they might have a cheap day ticket. To be honest, I prefered The Nutcracker which was on in the same evening at Opera Bastille. I didn't know that, I just thought I must see Palais Garnier when I was in Paris! Palais Garnier is so beautiful and always my favourite building in the world. La Source is produced in 2011 by Jean-Guillaume Bart, so I thought it is quite new ballet. But it was actually a recreated stage of the old ballet in 1866. The story is like A Little Mermaid. The fountain fairly Naila fell in love with a human boy Djemil. However he loves a lady Nouredda who is going to get married to Khan. Naila used her magic to make Khan love her, and break Nouredda's marriage. But Nouredda died because she was so shocked about the cancellation of her marriage. The setting of the story is in Persia. There are lots of Middle Asian or Russian character dance in the ballet. The costume is beautiful! Specially the ones of character dance. It's so wonderful that it wouldn't be strange if they are in a museum. See the below for the cast list.